a friend & fundonate partner bought 5pax lunch @ chui huay lim restaurant on 4.11.2013.
anyway the restaurant is part of the jumbo group, which has also acquired ng ah sio bakuteh (黄亚细肉骨茶), which now has an aircon branch located on level 1, which chui huay lim restaurant is also located. 🙂 i tried a few very good set dinner promotions in the rooms with karaoke set in 2012 not long after the restaurant started, they had chefs & servers from shantou. 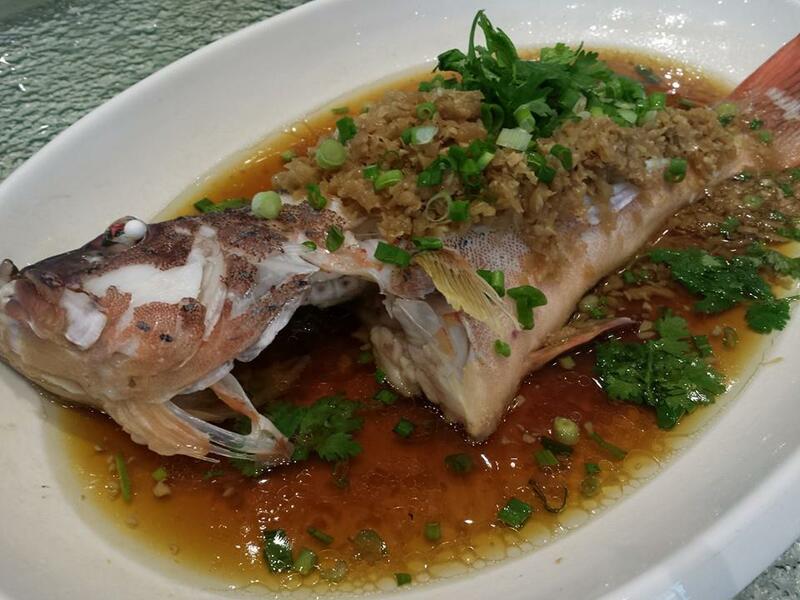 the food was generally good though not better than the other good teochew restaurants in singapore. 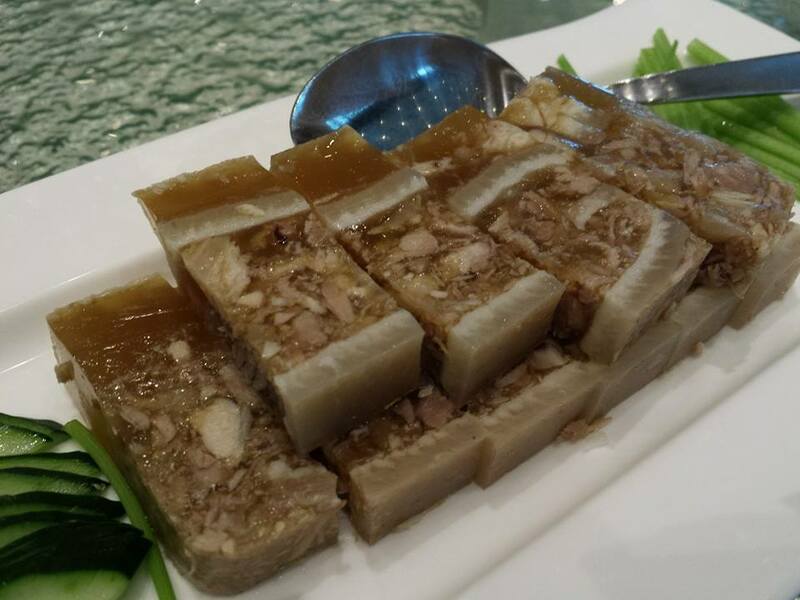 we had the ter ka tan (猪脚冻) pork trotter jelly – top photo. it was good here as usual – flavourful, nicely set & presented. i had not been here for maybe 1 year, it used to be harder to get braised goose (i had duck the last few times here), however this time there was no problem & my friend ordered the goose. i must say it was “underwhelming”. 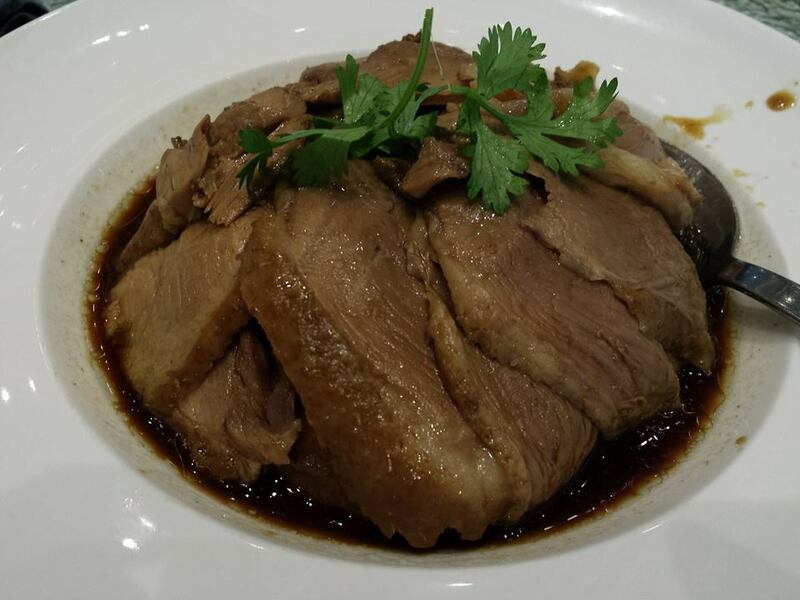 i prefer braised duck or goose to be served with little sauce & not drenched in them & most important is the “pang” flavour. this goose was to me quite average, & the few times i cooked braised duck (though i was not 100% consistent & made mistakes), my duck was more “pang” than this “wet” goose. 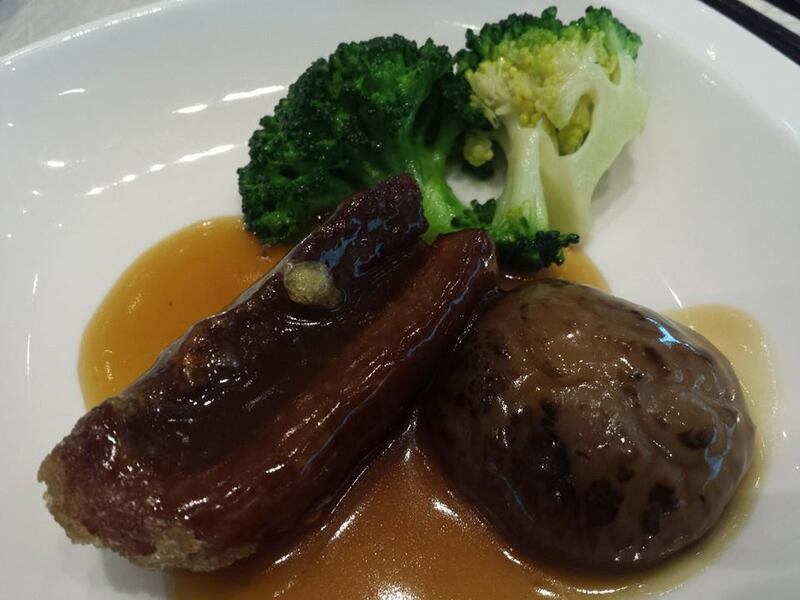 the crispy cucumber with mushroom & brocoli was excellent, both taste & texture with excellent brown braising sauce. 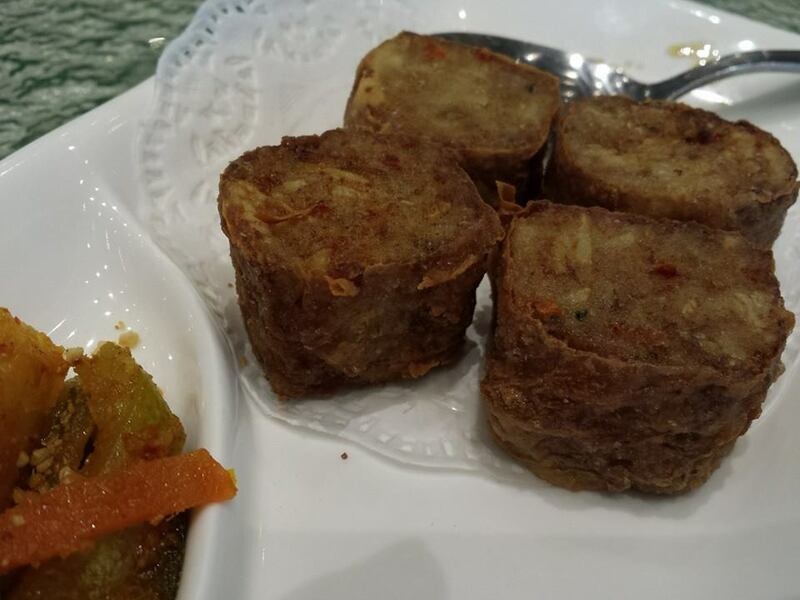 it was not better than what i had at tunglok signature @ central though. 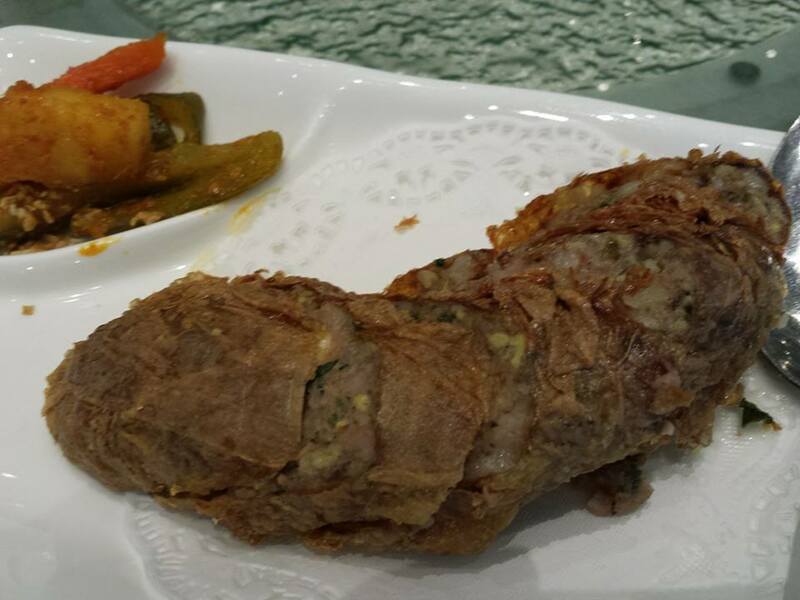 the prawn rolls & liver rolls were ok, i guess competent (ordinary?). This entry was posted in Buon Appetito! 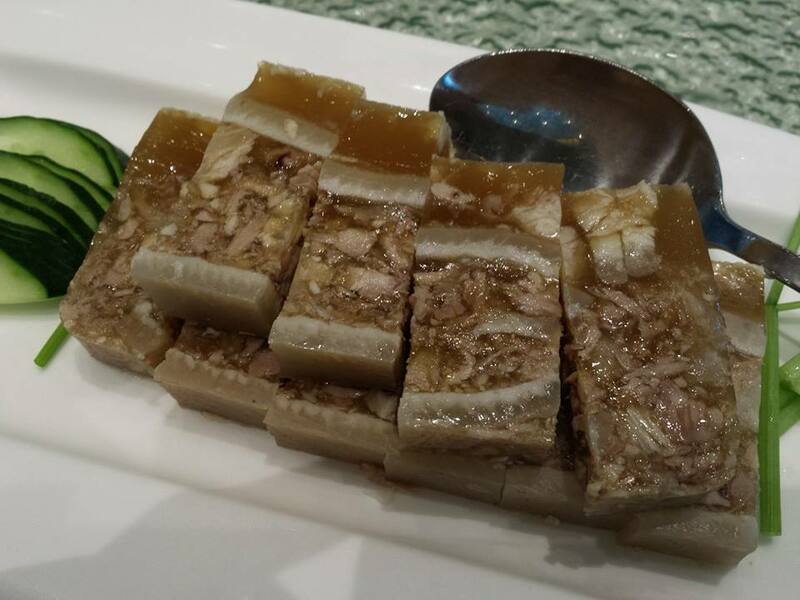 and tagged amex, bakuteh, braised goose, Chui Huay Lim, 猪脚冻，pork trotter jelly, garoupa, Jumbo, ng ah sio, sea cucumber, shantou, teochew, ter kar tan, towkay. Bookmark the permalink.